American Heart Association group from Kentucky meets with federal legislators. 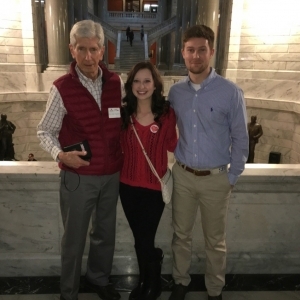 Dr. John Ferguson and EKU teacher education majors in P-12 Physical Education & Health participated in the American Heart Advocacy Day at the State Capitol, Frankfort, Ky on February 14, 2018. Accompanying Dr.